Steel grating is extremely versatile and can be used in a wide range of applications. 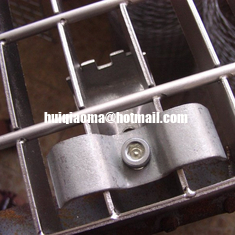 We manufactures three different types of steel grating, each with different specifications and suitability. Series 3 grating is mainly used in the mining industry as it minimises the build-up of spillages on the flooring. The openings let small matter fall through while larger matter is caught on the grating. Series 3 is a very lightweight design and is not recommended for high-impact loads. It is important to check the direction of the load bars when ordering steel grating as the load bar must take the weight on top of the support to prevent collapse. The most common size bar thicknesses range from 20mm up to 50mm. If a larger size is required please contact us. Our grating is manufactured to the following sizes. From this we can cut to any size to suit your requirements. At HEXING it is important to us to get the job completed within your required timeline. Sometimes deadlines can be quite tight when requested, but we can go the extra distance to ensure you receive the job on time.